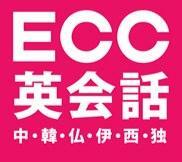 ECC, celebrating our 53rd anniversary has experienced steady growth and now has more than 150 campuses throughout Japan. ECC strives to promote a spirit of multiculturalism represented by a team of 15 different nationalities with over 650 native English speakers. ECC, therefore, would like to reassure you that we offer the most progressive contract package among English conversation schools. We have a reputation for being a very supportive and reliable employer and many of our teachers have gravitated here from other schools. We offer a 29.5-hour workweek where other companies offer 35 to 40 hours for the same salary, we offer two to four weeks more vacation than our competitors and the support we offer is comprehensive. We are sure that you, like our current teaching team, will find your time with ECC a satisfying and rewarding experience.